What an inspired performance! I found this original performance of this classic at publicdomainreview.org. The former song-plugger turned composer wrote this song in 1924, and it still resonates today. I especially enjoy this version, and am very glad to share it with you. Listen, download and read more here. 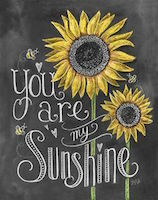 “You Are My Sunshine” is an example of country music’s large contribution to American music. This version shows off the song’s country roots. The tune was made popular by Jimmie Davis, who would later became governor of Lousiana. 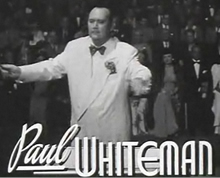 The song was written by a Paul Rice, but the songwriting was credited to the Jimmie Davis and Charles Mitchell, who purchased the song from Mr. Rice. 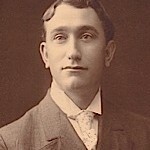 Wilf Carter, who performs this version, was a Canadian who often used the nickname of “Montana Slim.” Carter’s version evokes the deep melancholy in the song. The contrast between the cheery chorus (the most recognizable section), and the tone of the verses, make this version unique. One curious part of this recording, the fluttery instrument that emerges during the first chorus, sounds like a direct reference point for a similar texture The Clash would employ on “Somebody Got Murdered,” several decades later. In the American songbook, there are Standards and there are Standards. This would be a front cover of Standard Magazine. “All of Me” by Gerald Marks and Seymour Simons was first recorded by singer Ruth Etting. 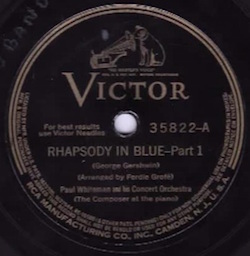 This was later recorded and performed by many others including Bing Crosby, Billie Holiday, Louis Armstrong, Benny Goodman, Ella Fitzgerald, Sarah Vaughan and even Frank Sinatra. 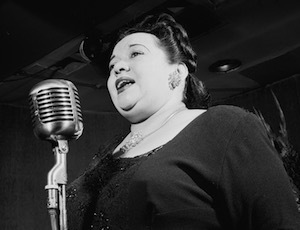 Mildred Bailey’s lilting vocal helped put this great song on the map, with this early recording by Paul Whiteman’s orchestra.